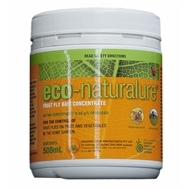 Eco-Naturalure is a Certified Organic concentrate which kills female and male fruit flies. Used by commercial growers to protect fruit it is extremely effective. 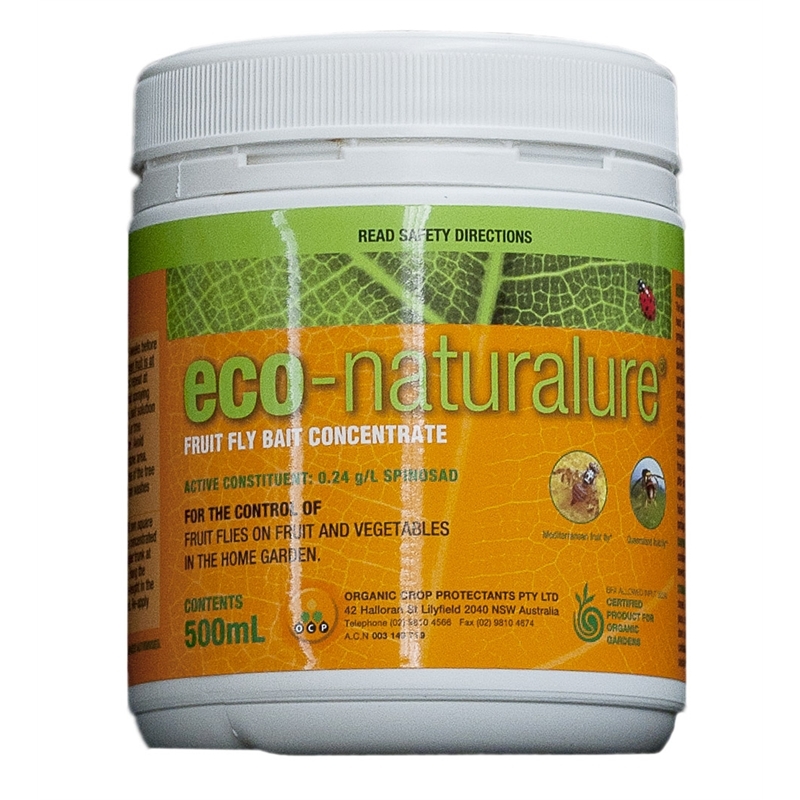 It targets fruit flies only and has minimal impact on beneficial insects and has no withholding period. No need to spray entire plants and trees just apply in patches around vulnerable plants. 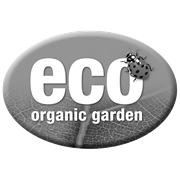 A 1 square metre area of spray will protect plants within a 50 square metre area.